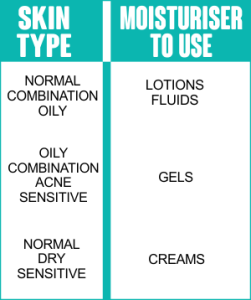 How often should you use a moisturiser? It should be morning and night. The morning moisturiser protects your skin from environmental effects. 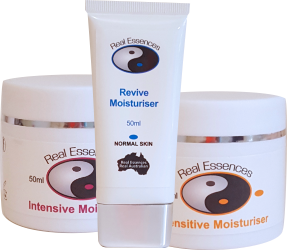 Your night moisturiser helps to boost your skin and work with your natural oils when you are asleep and your body is relaxed and resting. Have you applied your moisturiser with a 4 dabs technique on your face and wondered why when you go to spread it won’t reach the rest of your face? It is because the cream has been absorbed already into the area you applied it to, by the time you reach the rest of the face area it has all been absorbed. Use the size of a 10 cent piece, rub into fingers (this emulsifiers the product) and press onto the face and neck and then smooth with fingers.